Finally, designer must have the ability to absorb critiques, that how you grow as an artist/designer/maker. You don't insult critique-givers. It doesnt take a film philosopher to recognize good films. It doesnt take a color theorist to say Solarized Dark is a ****show. Get off your high horse, learn how to filter criticisms, and definitely do not insult the people who funded your visions. Thesiscamper took me by surprise with the personal insults, I hope one day he'll grow up. Everyone has a breaking point. I hope if you ever reach it on any project, people treat you with more grace. That's fine and all, but I've seen thesis break on more than one occasion. One of them was on me! Being serious, that's unfortunate. But I don't think that obviates my statement in any fashion. Well, I think it's pretty rude of him to say what he did. I've seen plenty of people at breaking points rage online and to me it's never an excuse to call people dumb, even if you feel you are more experienced in a profession. Did I ever say it wasn't? That's not what my statement said, nor meant. I just think it's better not to descend into the muck and wade it out with the person. But to try to afford a little grace, and let it go. There are enough tensions in the thread than to go adding to them, no matter how justified you may be or feel that you are. That's just my take, admittedly, but no less valid for that. Sorry, I am lost... are the missing stepped caps and ctrl what is being shipped? If so, who will be notifying the people that got the set through a proxy? "Everyone has a breaking point. I hope if you ever reach it on any project, people treat you with more grace." it sounded to me like you were justifying thesis' post considering the statements made by people regarding the colors and his reaction toward them. "Everyone has a breaking point" = thesis had a breaking point by reading these comments and lashed out. "I hope if you ever reach it on any project" = someone else in the same shoes as thesis reading comments about work they've done. "people treat you with more grace." = people ought to understand the position thesis is in and offer more grace (i.e., not be offended by his remarks), and similarly ought if you were in the same position. For those, I am currently packing them. All the trackings have been sent out. A major number of the tracking numbers have not been updated (pending). Our USPS pickup person has left USPS, so today, we'll be taking these to USPS. You will see it move tomorrow. 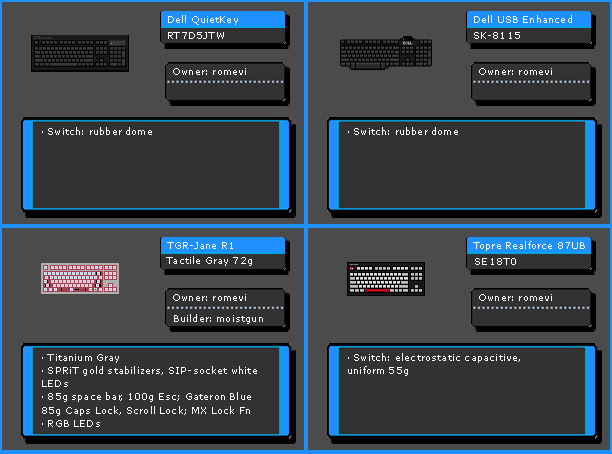 If you're waiting for a replacement keycap, you will get the tracking today after I finalize the list. You'll get tracking via email on file. If you've changed addresses since then, please notify support@keyclack.com . 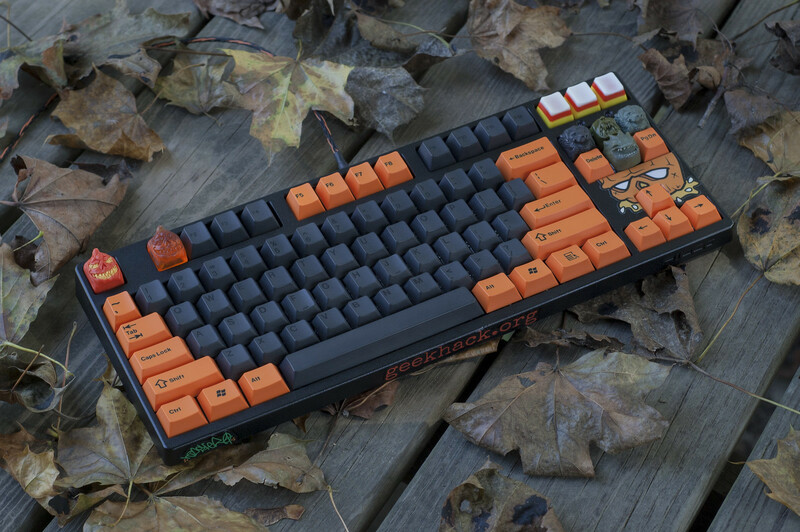 I will be holding the replacement keycap shipments for a day before dropping them off at USPS. This GB should be marked to be completed in 2-3 days. Have a quick question. I already received my base kit and colored modifiers with the first batch of shipments. Just wondering if I'll receive separate tracking for the stepped caps and stepped ctrl caps. I saw that you're still working on tracking for 'replacement keycaps'. I didn't know if the stepped caps fell into that category. For those trackings, I'm sending them via email. They are in bubble mailers, but have a good amount of bubble wrap to protect them from damage. That in no way justifies his remarks, nor says it isn't rude. It just says that the response to it doesn't take into account that he's just a person. Your reading is up to you. 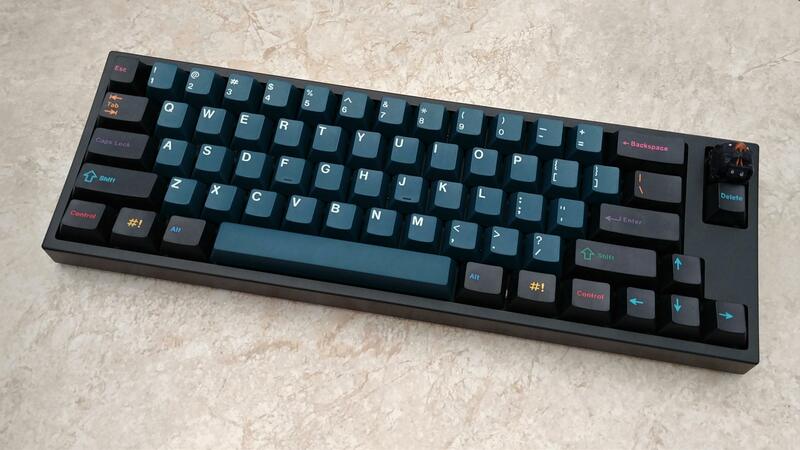 1. mykeyboard.eu currently has them, and is shipping them out soon! 2. KP from kprepublic, was shipped the shipment, but we are unaware when he will ship it. Tracking numbers have been sent out. Stepped Keys are packed now, and you should get them end of this or early next week. For the color debate, I don't care as long as the set looks good. Deviations and surprises happen despite best effort, sorta part of life here. For those who got slammed for making legit complaints, I feel for you. Popos often go after wrong people to keep order. I didn't receive a shipping confirmation but I did receive my shipment today. It is intact and complete - base, modifier, and spacebar kits, plus the stepped keys. 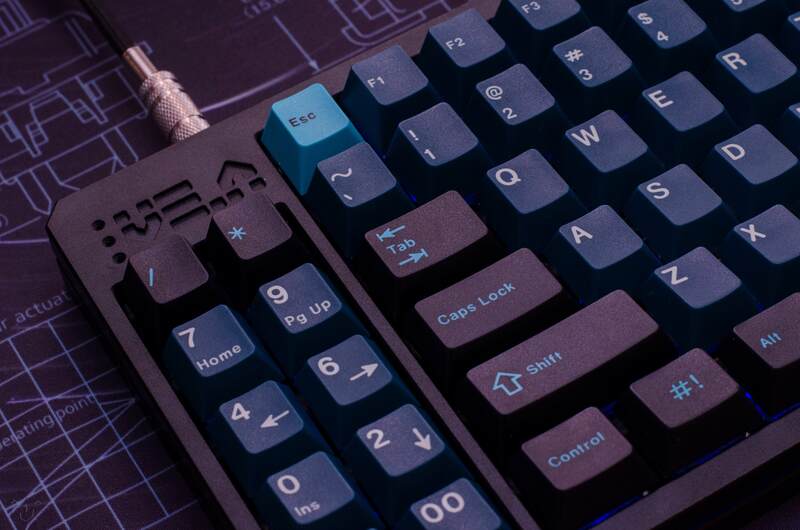 So, when are extras available on Keyclack? One year to the day. Better late than never. I sent out manual emails to everyone - if you changed your email, maybe it didn't go through. I didn't have any emails bounce back. But, glad you got the set. Got everything ordered. Very happy with how it turned out regardless of all the color debate. When do you plan to post the extras to your site? Just received the set and I'm pretty happy with how it turned out. Honestly, I think the alphas look closer to Solarized Dark than the renders did, so that's good for me since it's my favorite Vim theme. For everyone else getting the set, make sure you check the back of the box! I received mine last week and am happy with how it turned out. I received my sets. Happy with the result. The set looks very different in person than most photos on the internet. Because of dark colors, camera overexposes. Here is slightly underexposed photo. Is there per chance going to be another round of this goodness in foreseeable future? Lol doubtful. This definitely wasn’t the most painless group buy. I would be surprised if it ran again. Wow. This is hands down the best picture I've seen. It's absolutely perfect all-around! 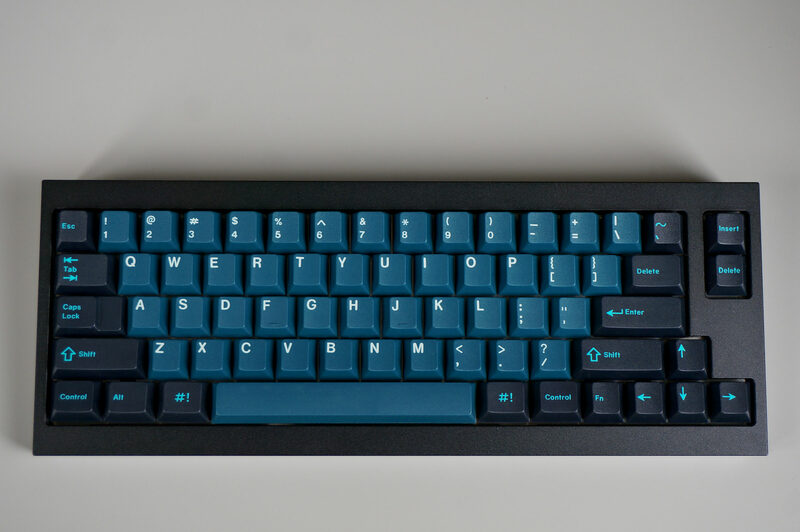 Makes me want to get a blue board. . 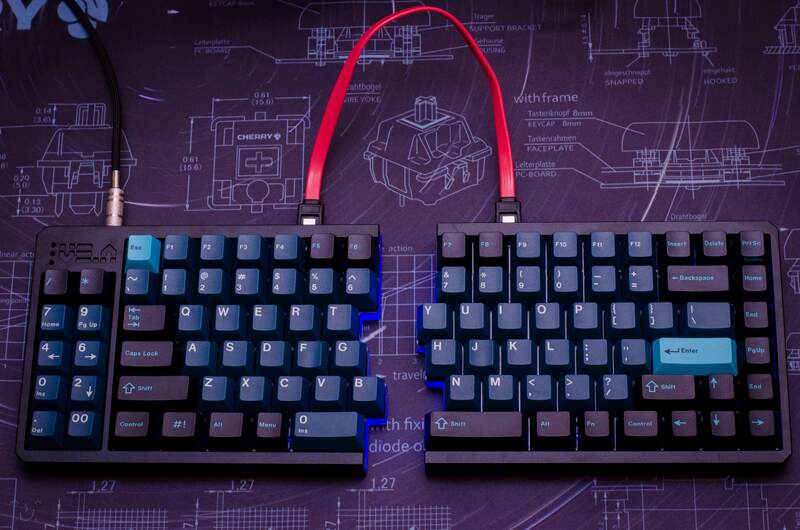 Which color clueboard is that? The grey? It looks really good! I was thinking about putting it on my teal, but went with oblivion as I needed the 2U space to complete it, and the extras aren't up yet. "The best of all possible worlds"
In case anyone was wondering, the new 6u centered spacebar mold works perfect on Novatouch'd keyboards! 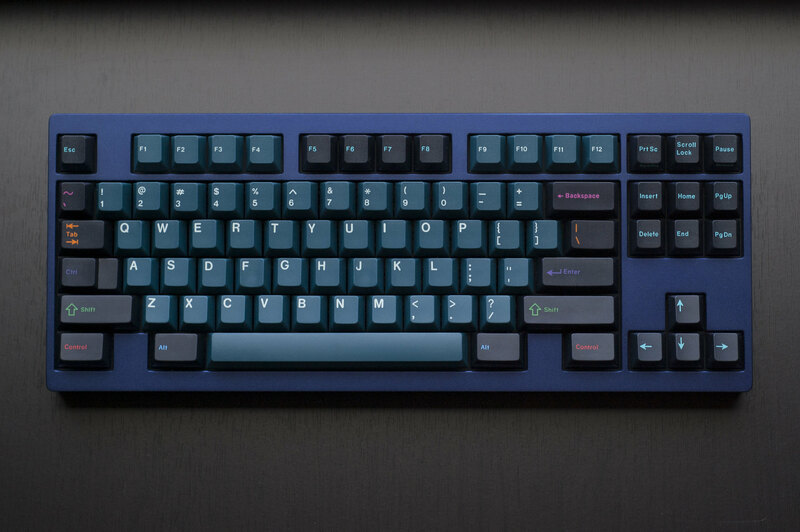 How do you work around the Topre 6u stabilizer, though? :eek: Love that partial plate, great boards as always! Simply by popping out both the original stabilizer assembly and replacing it with ones from the Novatouch! The original 6u stabilizer wire is retained. Wasn't sure it was even going to work until it was put back together since I don't think anyone else has tried this. hey is this likely to run again anytime soon? 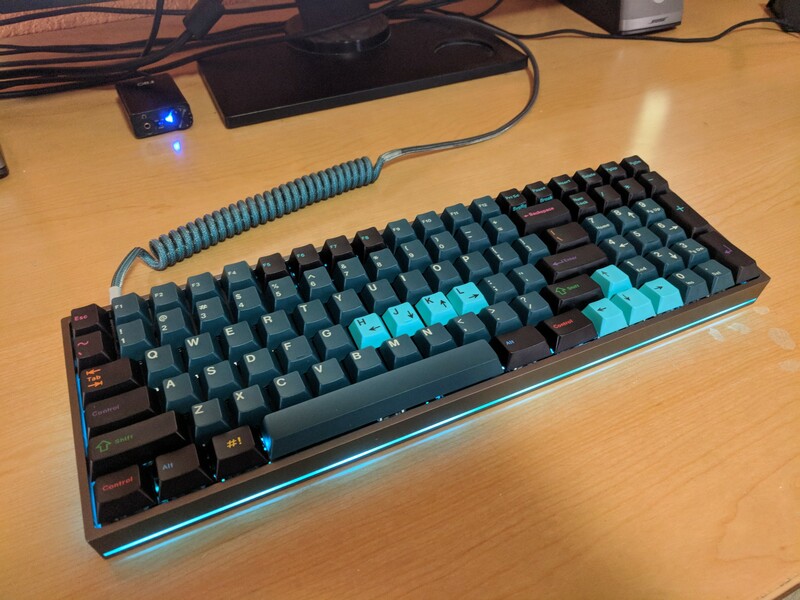 Extras are up on Keyclack... at an insane margin. 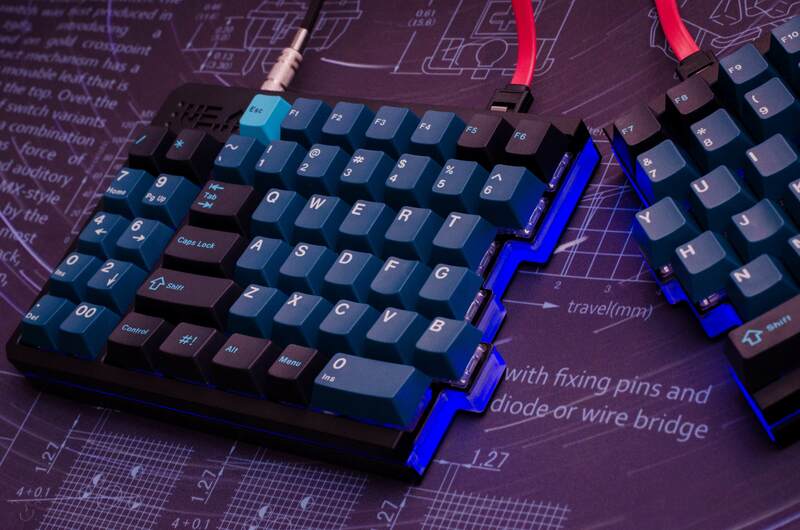 Keyset is mine -- featured on a commission VE.A build I just did. I haven’t got anything from mykeyboard.eu in regards to the missing keycaps... what about you guys? I dance significantly better through bullet patterns than the alphanumerics. Known to cause heart failure in touch typists on sight. If anyone has a set to sell, i am buying. Page created in 0.136 seconds with 67 queries.